Writing is my profession. It's my nine-to-five job that extends beyond normal working hours. It's how I've earned a living and supported my family for thirty-something years now. Yes, I am a Writer for Hire. It is my job to tell YOUR story, not mine. And I have told stories for hundreds of organizations. Yours could be next! Do your customers and employees need instructions on how to use your products and services? Procedure manuals, user guides, and how-to manuals are just a few of my specialties. Do you need help spreading the word about the cool things your organization does? I will interview you with journalistic flair and share your story everywhere. From small businesses to multinational corporations. From web publishers to book publishers. No job is too big or too small. From blog posts to technical manuals, I will tell your story for a fee. Yes, I am a writer for hire and this is my story. I'd rather talk about all the interesting tidbits of information I find, the people I meet, and the places I've visited. It's all about the words and the pictures. Every word, every picture. Each tells a story. And, I love to write those stories. As long as I can tell these stories while hiding behind my computer and camera equipment. I'm usually the quiet one in the bunch. The contract worker that sits in her cubicle, pounding away on the keyboard. Always showing up to meetings on time, with recorder and notebook at the ready. Thank you for the invitation, I'd rather not participate in your company party. I want to get this manuscript finished and polished so you can look it over tomorrow. This is how my life went for 30 years. Just me, my typewriter, my camera, and my way with words. Typing as fast as I could to complete a project for a client ahead of schedule. With time to spare. Being a writer for hire has encompassed my entire adult life. It's a curious and uncertain life. Never having a steady and regular paycheck. Never knowing when the next client will change their marketing strategy. Never knowing what tomorrow will bring. Looking back on my life, there's a lot of been there, done that. Travelling around the globe. Meeting people from all walks of life. Changing writing genres as often as some people change their shoes. We've got 30 years to cover, so I'll make it as quick as possible and just gloss over the good points. 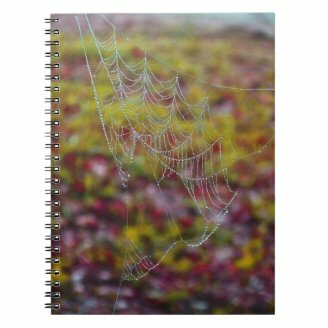 Are you ready to get wrapped up in the webs I've spun? Writing for a Living started innocently enough. I was a Cashier for a Seattle investment firm and a good typist. When the secretary for the VP of Sales became ill, I was asked to step in. My job... type sales letters and the company newsletter. The typing job quickly grew. Soon I was editing for grammar errors and, later, writing some of the newsletter copy. Then I moved to another investment firm. This time in the Compliance Department. It was my job to write and update the stack of sales and training manuals the firm needed to be in compliance with SEC regulations. Yes, I was licensed by the FINRA (then it was called the NASD) and passed the tests for the Series 7 (General Securities Representative) and Series 27 (Financial and Operations Principal) licenses. Working in the financial industry was the highlight of my life. My introduction to the Fast Lane. From an up close and personal view of the New York Stock Exchange to an introduction to Jimmy the Greek. I was still a young twenty-something and the future looked bright! I'd like to dedicate this song to all of the 20-somethings out there. Life is a long journey. No matter where you begin, you never know where you'll end. Make the most of it. Be happy being alive and find satisfaction in a job well done. It doesn't matter what kind of car you drive. It's all in the way you enjoyed the ride to the end of the line. 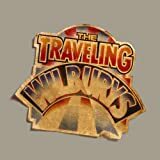 I find so much inspiration in the Traveling Wilburys. There's hope, revenge, love, and mostly beautiful harmony. When the stock market crashed on that Black Monday in October of 1987, I didn't see a future in the securities industry. Although, I did see a booming Tech Market in the Seattle area. Computer and software companies, like Microsoft, were popping up everywhere. I had shown my abilities as a procedure writer and it was time to stretch my wings. From technical writer in Seattle's version of Silicon Valley to homeless in Southern Indiana and homesick in Hawaii, I made the leap to published author. I was co-author on the first edition of Linux for Dummies. 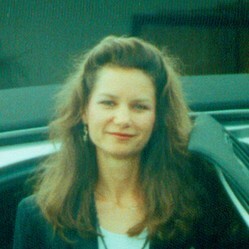 My publishing career had launched and I went on to publish 24 more mass market computer books through Macmillan and Prima Publishing. What goes up, must come down. And down came my publishing career. A new millennium had turned and the masses no longer needed books and manuals to tell them how to use their beloved gadgets. I needed a new gig. I'd like to dedicate this song to Mr. W.
He was always driving his life away, looking for a better place. Never staying in one town for very long. Never finding anything that made him happy. He always said the next place would be better than the last. Are you still flying west down the highways, looking for the morning sun rays? A friend, who happened to be the City Editor for one of Stephens Media's Hawaii newspapers, asked me to freelance for him. I told him I didn't know anything about journalism. I have 100 resumes on my desk, all of them with bad grammar. My boss says I HAVE TO hire someone. Please? At least give it a try. I promise, I'll help you! I'm glad I said yes. Being a stringer for a Hawaii newspaper turned out to be the coolest gig in the world. For two years, I traveled the Big Island, saw the sights, interviewed the residents, participated in events, and enjoyed the community theater. Then, madly rushed home and told my version of their story. I went from stringer to columnist. For three years, I wrote about gardening. Specifically, how to grow vegetables in tropical Hawaii. It was a natural extension of the years I spent in the University of Hawaii Tropical Master Gardener program. The other most coolest gig in the world. Not only did I write for the newspaper, I took the photographs for a few of my assignments. 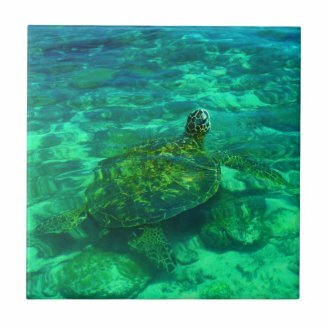 This photograph, of a Hawaiian Honu Sea Turtle, convinced the editor that my photographs were newspaper quality. This photograph must bring good luck. 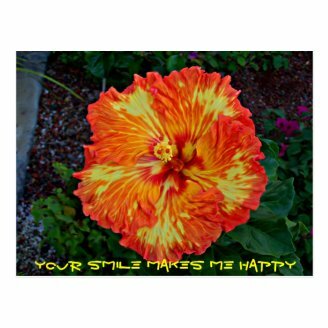 Not only did it get me more paying work, it has been my best-seller in my Zazzle store, CrypticArt. I'm going to fast forward a bit here. A lot of changes happened between my move from Hawaii to Florida. Let's just say that I made several big moves. One of the biggest changes was moving away from writing for the corporate world to writing in the wired world. No more clients with tight deadlines. No more editors with red lines. It was me and the machine. Woman against computer. In a battle over search engine fame. Making this transition hasn't been easy. I'm a writer. Not a marketing expert. Not a social media guru. Just a writer. I knew I needed guidance in this new online writing world and I went on a search to find a website that could help me come out of my shell and join the ranks of the New Online Writer. This song goes out to the man in my life who is the Best Thing Ever. You make my world easy. You brought me confidence and you gave me back my strength. You're a wish come true. The dream I never thought could become real. No one has ever made me feel the way you do. Don't tell me it was nothing. You rock my world. That's everything. My favorite hometown Seattle band. I love Heart and the way they belt out a song. Powerful voices. Meaningful melodies. Triumphant tunes. These girls got grit! On August 15, 2014, Squidoo announced that it was closing its doors after 9 years. It was an emotional announcement. The community of Squidoo writers was devastated. Their home was being destroyed and served up in pieces to HubPages. I spent a Sweet 16 months at Squidoo and published 62 articles on the platform. I moved up the ranks quickly. A graduate of RocketSquid University, Squidoo's web writing boot camp. A Giant Squid with over 50 quality lenses. 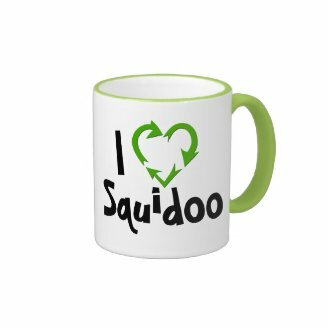 And, I was the Recycler Contributor on Squidoo. It was a great experience, I learned a lot, and I will be forever thankful for the friends I made through our association with Squidoo. Even though Squidoo offered its writers an easy way to transfer their work to HubPages, I declined the offer. Instead, I deleted all but 3 of my articles. Most of my past Squidoo work is being moved to my blogs. Some, such as the story below on my favorite 4 Easy to Grow Flowering Tropical Plants, will appear here on Wizzley. This song goes out to all the friends I made at Squidoo. We had a lot of fun together and we shared many a good cheer. Even though the tide has changed and each of us has drifted away on our own surfboard, there are new adventures yet to come and more fun to share. Keep smiling into the sun. Long may you run. Becoming the Recycler Contributor on Squidoo opened new doors for me and introduced me to the world of blogging. And now I'm... Hooked on Blogging. It began innocently enough. A group of Squidoo's most talented and successful writers, who were also selected as Contributors, asked me to join up with them so that we could all learn together. We really didn't know what to expect from Squidoo's Contributor program and there's safety in numbers. Our fearless leader took charge and started a blog where we could all contribute posts to promote our contributor niches. It took me about a month of weekly bogging to find my addiction. Even though Squidoo has gone away, our group's blog, ReviewThis! Personal Reviews, is still going strong. With my new-found blogging courage, I started a blog for my Recycler contributor niche. Together with my partner, Regg, The Recycler Network News was born. Regg and I are having a good time writing together. Blogging With Buddies is the only way to blog. Soon after I became the Recycler Contributor, Regg and I moved into a home of our own. And we are so excited. We have the coolest yard with sunny and shady places for gardens all around the house. To celebrate starting over in life, we started another blog, Food FAQs. It's all about our love of healthy food and organic gardening. Regg and I have a few other blogs in the works. He has some incredible artistic talent and a blog is the perfect place to show off his sculptures. Now that I have a home of my own, I have been able to set up my crafting room and sewing table. A blog will work quite well for sharing crafting tutorials. And, I've learned a lot in 30+ years of writing. A blog is a wonderful way to promote good writing. Yes, I'm addicted to blogging. That doesn't mean I'll quit being a Writer for Hire. Once a Writer for Hire, always a Writer for Hire. Call me if you're dancing in the dark and don't know where to start typing. It's just a spark you need and I'll help you find it. I'll get your message out for a fee. I'm sick of sitting 'round here trying to write this book. Let's dance! Hi MBC! Yes, the wizzography is a tough one. Have fun with your old lenses. Mine are slowly moving to new places. Hi Coletta, I'm also a former Squidoo writer (had 300 lenses) and have only gotten a few transferred or re-written here on Wizzley. Nice to read about you and get acquainted. I need to write my wizzography (I'm struggling with it). Yes, Squidoo was fun and I was sad to see them go. I like Wizzley. It's a cool place, laid back, and mellow. Perfect place for me. Glad to see another X-Squid among the ranks! Thanks for stopping by! Squidoo was fun as long as it lasted. It is amazing to see that many accomplished writers are joining Wizzley. I didn't know about Squidoo. What a way to find out. Thanks for letting me know. Thank you, Mouse! And, I do appreciate you giving me such a wonderful and easy introduction into the World of Blogging. It is a pleasure blogging with you! Truly fascinating! It is amazing how you continue to reinvent yourself, but your writing talent has obviously carried you many places and has been the common thread throughout your career. I wish you great continued success. For those of us who have worked with you in the past and continue to work with you in the present, it is truly a pleasure. What an interesting life and you are of course a wonderful writer :) I enjoyed learning more about you and your writings.